East Africa's newest and best maintained premium rental and leasing fleet. Auto Rental Services Ltd (ARS), is the leading car rental and leasing sevices company in Nairobi, Kenya. Our executive management has over 20 years of experience solving consumer and corporate needs in fleet rental and leasing management, and we are trusted by many of the "big names" for fleet services. We understand that when you hire a car, you shouldn't have to jiggle the key to get it to start, or lift the door just to close it. We regularly service and maintain our fleet to keep our vehicles clean and road-worthy. In fact, the majority of our medium-sized fleet has less than 2 years utilization, and is comprised of local market and very clean and high quality ex-Japan vehicles. Located in central Nairobi, on Riverside Drive, close to the heart of the Central Business District (CBD), and with service branches in Mombasa, Kisumu, and Nakuru, our fleet of Prados, Landcruisers, SUVs and passenger cars is utilized by discerning visitors, business executives, multinationals, corporate organizations, and NGO / other public organizations, with a number of vehicles under medium- and long-term fleet leasing arrangements. Let us show you how we can help you manage your transportation needs effectively and efficiently. 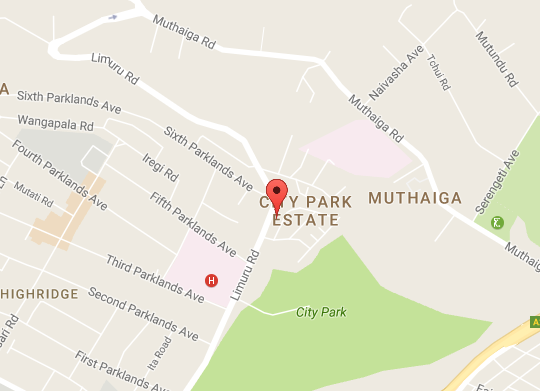 We are located in central Nairobi on Limuru Road.